At the Kunsttischlerei (cabinet maker) Potzmann I got in touch with Mr. Franz Potzmann who is not only a restorer for furniture but also offers lessons in restoring furniture yourself. After a small interview in the garden of his house, where also his lessons take place on sunny days, I had the chance to polish a small box myself. 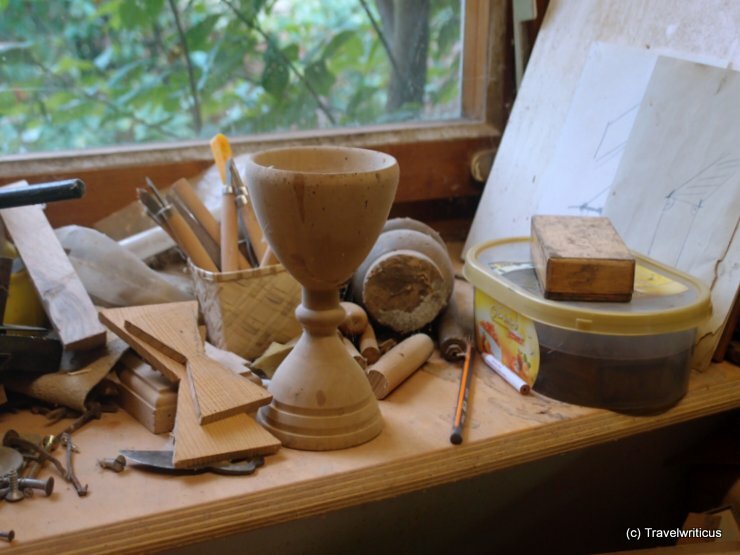 While walking along the venues of the festival Natura.Kreativ in Altenmarkt I came across a class in creative sculpture ran by artist Walter Puchmayr. 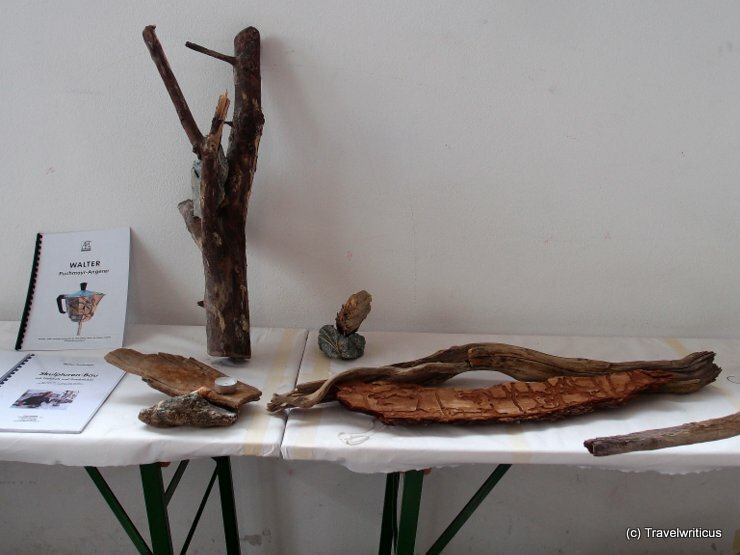 Participants were told how to create artworks by combining driftwood, stones and metal in a creative way. My first visit to the Natura.Kreativ led me to the Reitlehenalm, an alpine pasture near Altenmarkt im Pongau. 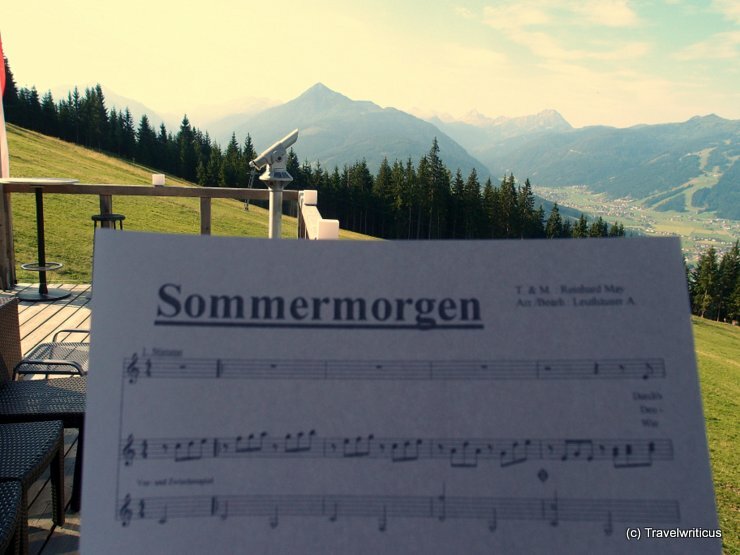 Right in the middle of the hills, a class in voice training took place. The teacher was Annelie Leuthäuser, an experienced theatre and concert singer. While writing this post I am nibbling at a slice of bread which I actually made by myself! 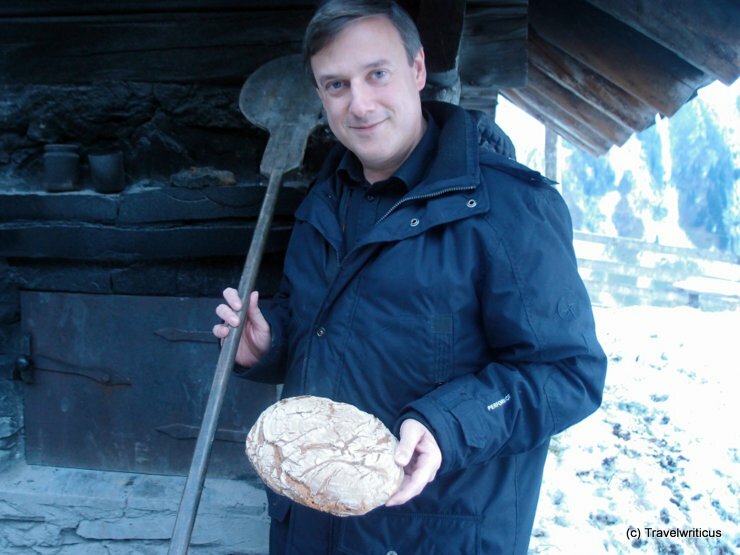 At a farm at the Kalchkendl Alm, an alp named Kalchkendl located in Rauris Valley, I had the chance to bake bread the first time. I took this lesson at a class named Schule am Berg, guided by Roswitha Huber. While staying at Landhotel Martha I took a lesson in working with clay. 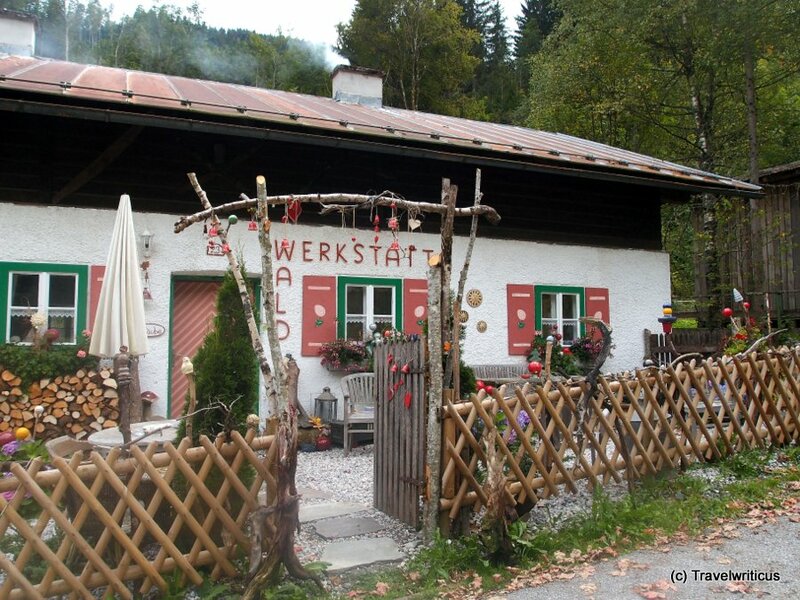 The lesson took place in a former farmer house called Waldwerkstatt. Well, what should I create? A pot? A plate? A heart? A locomotive … That’s it! 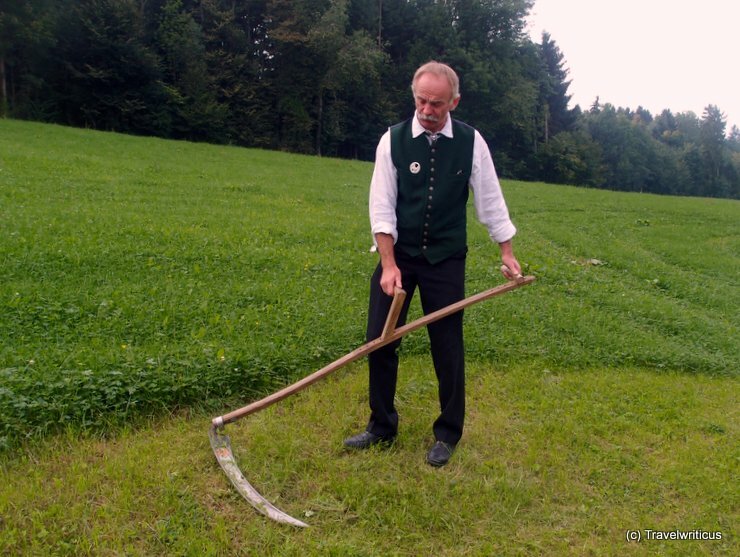 At the farm house of Mr. Weingartner in Schlierbach I took a lesson in cutting hay with a traditional scythe. Interested people can also take a class learning about some facts regarding agriculture. Though this is mainly an offer just for fun the lessons are pretty informative. Lets play ‘Guess the movie’! 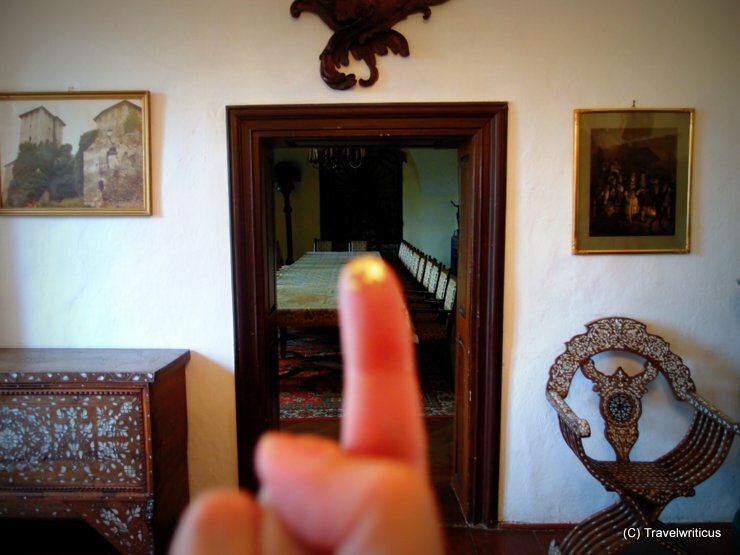 This photo was taken at that castle where I created a painting with some coffee and gold leaf. There is still some gold at my finger so about which movie I am speaking? After taking a lesson in making Latte Art I did it again: Making art with coffee. 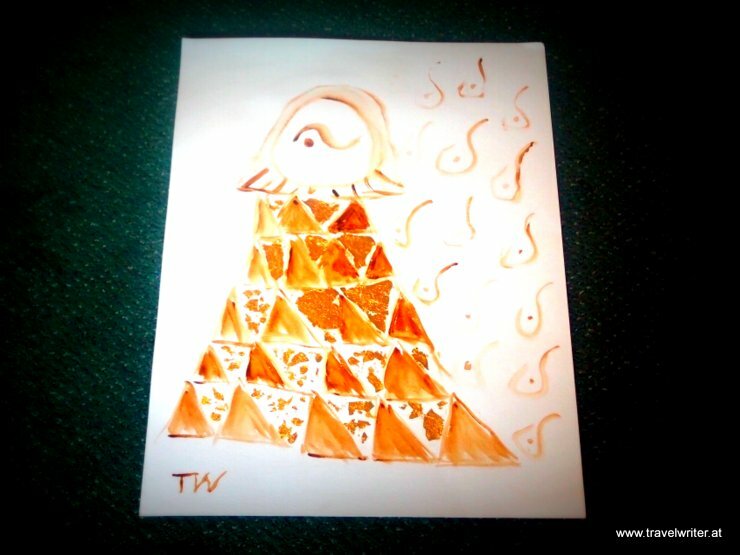 At Lockenhaus Castle I took a class in painting with coffee and gold run by the Austrian artist Stefanie Moro. 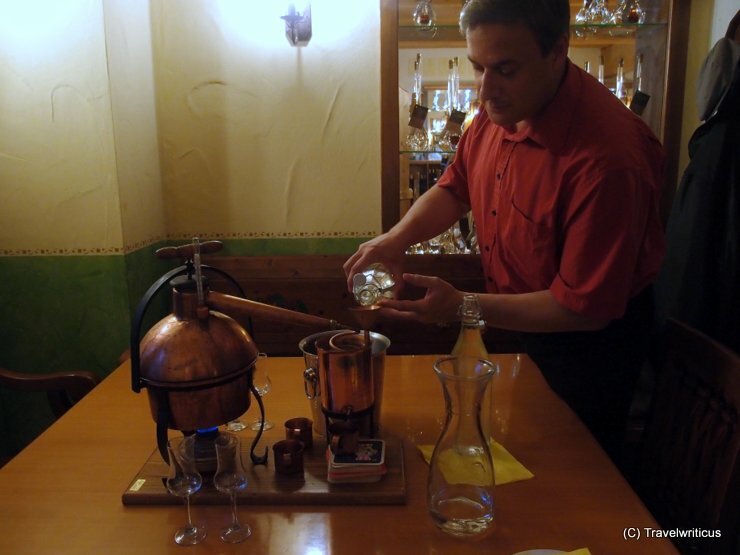 At the hotel & distillery Lagler located in Kukmirn I took a lesson how to distil schnaps. For example I learned about the right temperatures (very important!) during the process and how to define the wished percentage of alcohol in your own schnaps. The first stop of our creative tour through Burgenland was a coffee shop in Oberwart. 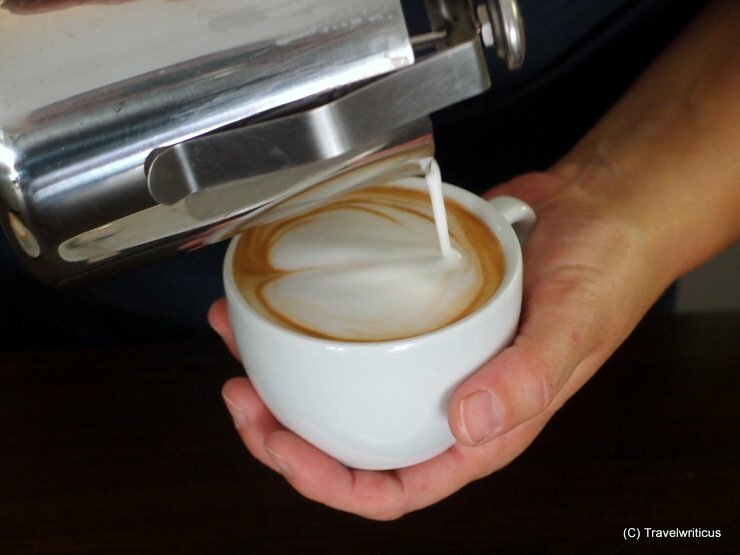 At the stylish Stromberger Coffee to Go we had the chance to watch how to make Latte Art.